Marriage Dates in this year are not that much but in March there is a hope for those who are looking for nearly marriage dates to tie the knot. The favorable marriage dates in March 2018 are: 5th, 6th, 8th, 10th, and 12th. Till 2 march the Venus is dominated and combust by Sun. But on the 2nd March itself Venus will be free from Sun. 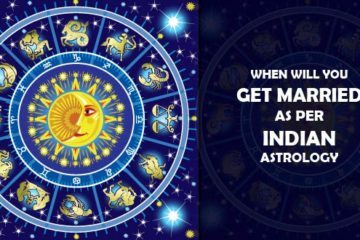 The present article is all about marriage dates for all zodiac signs explained by astrologer Ashok Prajapati the famous online astrologer. In Hindu religion, the occasion that is considered to be highly auspicious is the lifetime bond between two people i.e. marriage. There are several rituals and traditions that are connected with marriage and are followed with religious feelings and placid dedication. For the success of marriage, it is believed that marriage must be done only on certain dates that are considered to be auspicious for the occasion. For this reason, the advice from a learned astrologer is always taken in the case of marriage to know the auspicious date or muhurat on which marriage could be conducted. The month of January was not favorable for marriage due to Venus incineration. The month of February was favorable for couples in terms of auspicious muhuratas. For all those who are planning to get married this year, we are here with the marriage dates in March 2018 so that the auspicious occasion could be carried out on the auspicious time. The month of March is free from the combustion of Venus. Therefore, the auspicious occasions such as marriage are possible in this month. At the time of marriage, some planets hold special importance such as Jupiter, Moon etc. whose strength or weakness decides whether the marriage is possible or not. The position of Sun is also significant as it represent energy. One should take the help of a learned astrologer so as to ascertain the marriage dates in March 2018 based on the position of lord of ascendant along with other necessary details present in the horoscope. For Aries, there will be intimacy in relations. 6, 10 and 12th are good. For Taurus, there might be certain challenging situations in relationships. 6 March is perfect. For Gemini, the love will be passionate and intense during the period. 5 March is good. For Cancer, good time is there to begin the love relations. 5, 6, 8, 12th march are auspicious. For Leo, this will be the time full of joy and love for relations. 5, 10 are perfect. For Virgo, passion will blossom for love in this month. 5, 6 and 8th march are perfect. For Libra, time is favorable for romance and love relations. 6, 8 March are perfect for marriage. For Scorpio, for the love affairs, this is a favorable time. All dates are perfect except 5 March. For Sagittarius, there will be intimacy in the love relations and romance will be there. Same as Scorpio. For Capricorn, love partners might enjoy some sensual time with each other in this period. 5, 6, 8th of March are perfect dates to get married. For Aquarius, compared to the year, month of March will be highly favorable for romance and love relations. Same as per Capricorn. For Pisces, there might be negative impact on the relations. For you the 12th march is perfect. For boys the same dates will be considered as like girls. Just the change is of marriage prediction only because boys ruling planet of marriage is Venus and Girl’s ruling planet is Jupiter. In the Hindu religion, auspicious time or dates calculated on the basis of some reliable methods that have been offering perfect results. When marriage takes place on an auspicious occasion, it brings successful results and the couple is able to lead happy and contended life. 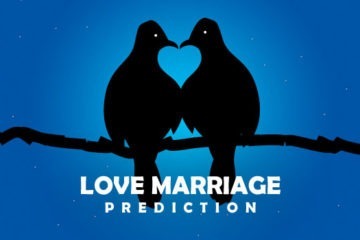 If you want dedicated marriage prediction or personalized analysis you can feel free to send your queries using the form below. You have not mentioned the birth place in your details. Also you can expect only one question’s answer. 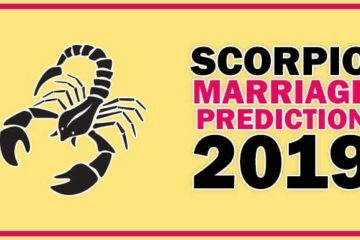 Please share your birth details so i can tell your marriage horoscope.